The election of James Dickie and the censure of Byron Cook is very important to the analysis here. The establishment Republicans took a beating. All of this was designed to send a message that the party intends to hold our elected officials accountable for the platform. Joe Straus can explain all of this to anyone wishing to listen. To be clear, the censure of Byron Cook failed. But I agree it demonstrates a renewed interest in promoting and enforcing platform planks. "To be clear, the censure of Byron Cook failed. But I agree it demonstrates a renewed interest in promoting and enforcing platform planks." - no it didn't. The committee revoted, and reversed itself and then the floor voted to censure him. Here's the final numbers. The censure vote is line 700. Cook was censured on a re-vote.. The censure was ratified in the plank. Ah, my error, thanks! I was there for the first vote, but was focused on the CJ stuff and didn't see it brought up again. Corrected in the text. Your criminal Justice platform was well thought out. • End debtors prisons. The party wants to "end the incarceration of individuals because they cannot pay tickets, fines, and fees for Class C misdemeanors, including traffic citations." • Abolition of the Driver Responsibility Program. Includes a call to "immediately restore the driver licenses of the citizens whose licenses were suspended by the DRP and to cancel their debt." The Courts emphasized that a willful failure to pay a fine was distinguishable from a defendant’s inability to do so. It is because of this distinction— between a defendant who refuses to pay criminal justice debt and a defendant who lacks the means to pay—that an ability to pay determination must take place before someone is jailed for nonpayment of criminal justice debt. •Agree: Indigent defense. Calls on the Legislature to fully fund indigent criminal defense. Indigent defense should not be considered an option for state. In 1963, the U.S. Supreme Court decided Gideon v. Wainwright, which established the constitutional right to a public defense at the federal and state level and led to a state responsibility to provide that defense. States can and should find 100% funding for indigent defense through the Byrne Justice Assistance Grant—or JAG—program. An arrest should be made if the person refuses to sign a written promise to appear (the citation), requests to be taken before a judge and if the person will not provide valid identification, the provided identification cannot be verified or other delineations such as family violence. A “citation in lieu of arrest” should be a discretionary consideration by the officer for low-level crimes. Citation Release may reduce jail populations and provide local cost savings. Citations divert lower risk offenders from detention, reserving limited city and county jail space and resources for more dangerous offenders. By providing an alternative to pretrial detention and release processes for certain defendants, citation in lieu of arrest can be considered a component of city and county pretrial policies. Instead of an arrest the citation releases the person on the promise to appear in court at a specified date and time. What Hooper said. 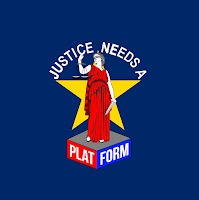 "Enforcing the platform" was simply a façade that was selectively applied. "It's difficult to reconcile the extremist devotion to the Constitution expressed by so many party loyalists with a legislative priority to "ignore and refuse to enforce" federal laws and Supreme Court rulings on pro-life stuff. Since every Texas elected official takes an oath to uphold and defend the "Constitution and laws of the United States," that clause in the legislative priorities almost screams to elected officials, "You don't have to follow this!"" I don't think it's difficult to reconcile at all. Given some of the historical court rulings and laws that clearly defy or ignore the Constitution. Yes I know everyone wants examples, so how about "Lochner v. New York", or "Adler v. the Board of Education" for the Supreme Court. I'm pretty sure everyone can come up with examples of laws that have been unconstitutional. BTW, this post has nothing to do with pro-life. It's not a subject that I'm either entirely for or entirely against. First time reader here - Why didn't I find you guys sooner??? This post talking about the Rule of 44 and the Texas GOP censure machine is spot on. I have seen the GOP senate district resolutions that were originally sent up and various different senate districts wanted to censure Cornyn, Granger, Burgess and a whole host of others. I think this rule and its use is not going away anytime soon.